Economic times are tough for everyone – individuals and corporations alike. Employees are finding ways to maximize their incomes and businesses are trying to reduce costs and minimize losses. Turnover and job loss are common and one way a company can protect itself is to have employees sign a non-compete contract. In a non-compete contract, an employee agrees not to pursue a similar profession or trade in competition against the employer. If an employee, by lay-off or resignation, begins working for a competitor, they could intentionally or unintentionally share valuable trade secrets, company assets (employees, technology, etc. ), client lists, business practices or marketing plans. 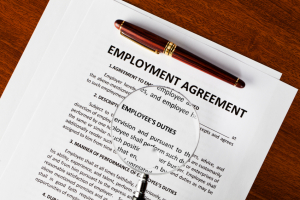 The non-compete agreements are to protect the employer from theft of confidential proprietary information. Non-disclosure agreements and non-solicitation agreements are also used to protect confidential company intelligence and resources. In a breach of contract enforcement investigation, it is important act quickly and collect evidence to ensure the integrity of the case. Any involvement by a company employee in the investigation could be considered tampering with evidence and will make it inadmissible in court. The information should be obtained from a qualified and experienced investigator. Hawk Professional Investigations utilizes their experience and computer forensic experts to conduct extensive investigations, analysis and review of evidence to help companies protect their information. Contact Hawk Professional Investigations today for a free consultation to find out how our risk management and investigation services can help your business.